Before the present members of the band Michel and Dirk took their current name in 2002 the band was called Trittschall and was an electro dance project. In spring 2004 the new singer – Kai - joined the band. He previously took part in some projects in Germany. Meanwhile, the band was working in their own recording studio on the debut album "Open Your Eyes" which was released in 2004. That was the way they marked themselves on the music scene. At first they were noticed by the band Daybehavior after they've won the competition for the best remix of "Mon Ami". The track was published in this year's album of Daybehavior. 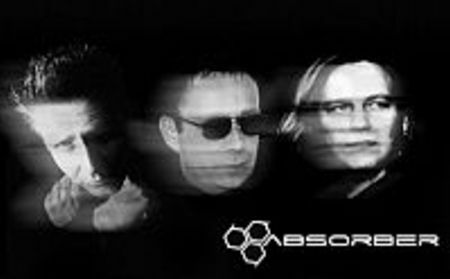 The music of Absorber is a melodious synth pop reaching to the 80th in its rots. However, the CD is promising as far as the dynamic development of the danceable, melodious pop is concerned.